Five Star Magic is a natural relaxing agent for horses that distinguishes itself on an important point. Instead of relying on one active ingredient, a combination of magnesium and carefully selected soothing herbs is used in this special formula. This special mix provides more peace, self-confidence and concentration in horses and ponies. Magnesium deficiency can be caused by an unnatural ration, a poor soil or tension due to regular travel. Whatever the cause, a magnesium deficiency often leads to stress, nervous behavior, too much muscle tension or a lack of confidence in the horse. Because in nature there is nothing in itself and cooperation is essential, in the composition of Five Star Magic we have chosen a unique combination of ingredients that reinforce each other. The power of herbs and plants is well known and has proven its beneficial effect in anxiety and stress situations. Experiments also show that the use of the Magic formula helps horses to do what we ask of them in peace and self-confidence. 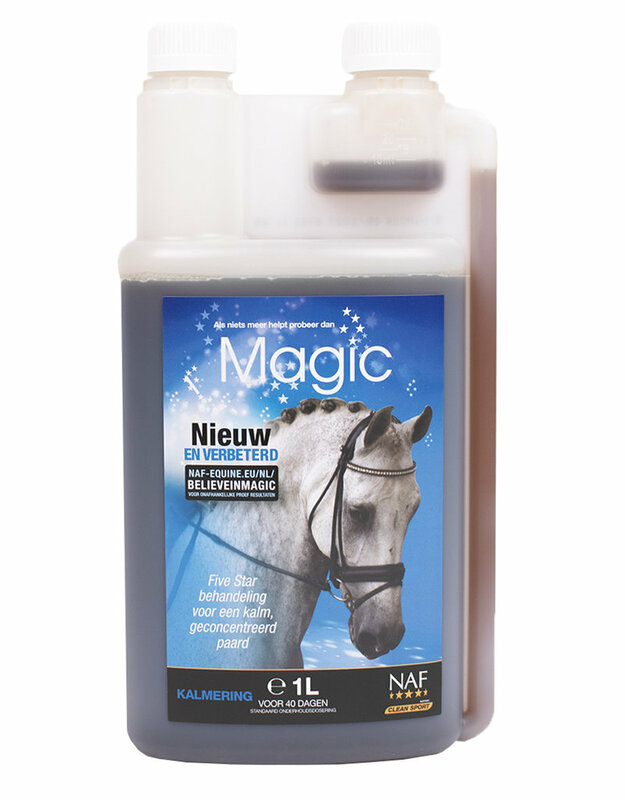 Five Star Magic is available in powder and liquid form and therefore adapts to the needs of your horse or pony. Are stress and anxiety in the way of your horse's performance? Give Five Star Magic for more peace, relaxation and focus.